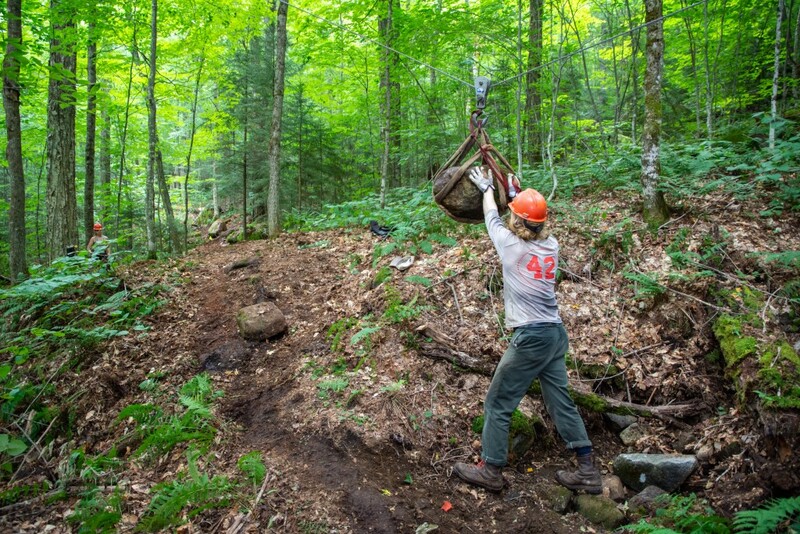 ADK’s (Adirondack Mountain Club) Professional Trail Crew has spent the last 10 weeks working on a new trail up Mt. Van Hoevenberg. This trail is located on the north side of the mountain starting at the Olympic Regional Development Authority’s (ORDA) Cross Country Parking Lot at the Olympic Sports Complex, eight miles east of Lake Placid, NY. 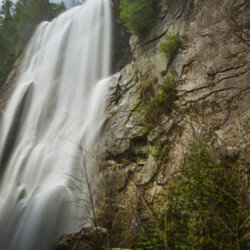 The new trail is a four-mile round trip hike with a 920-foot climb to the summit that overlooks the Adirondack High Peaks. 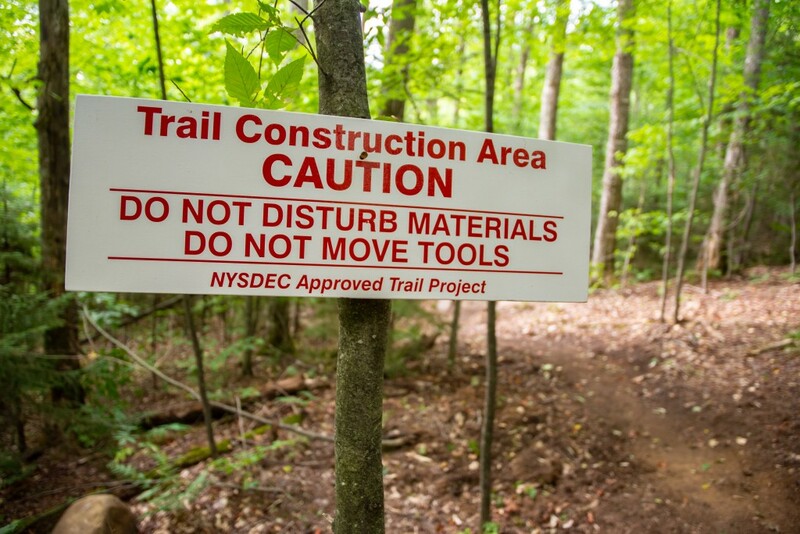 The New York State Department of Environmental Conservation (DEC) designed and laid out the new trail. 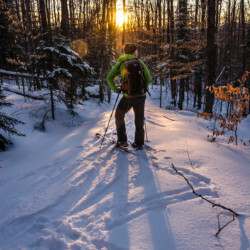 This trail is sustainably designed to withstand a high volume of people while also giving hikers a more enjoyable hiking experience, a stark difference to many traditional Adirondack trails that go straight up the mountain in the shortest distance possible. 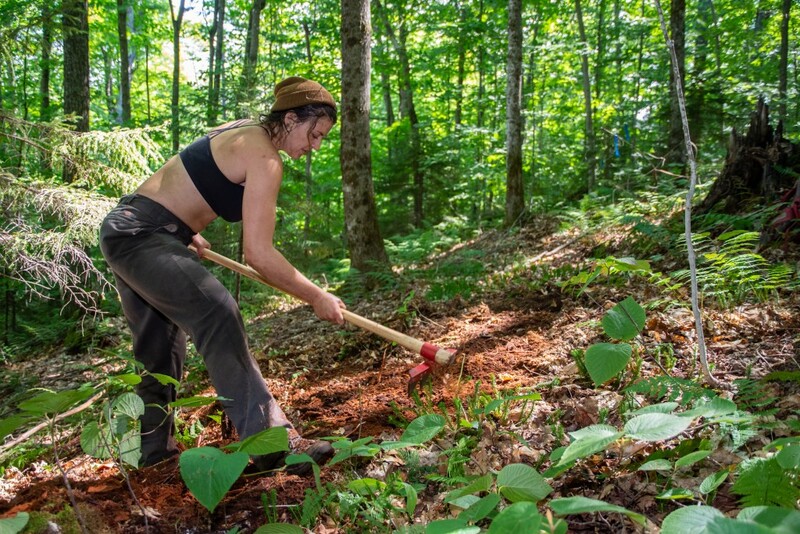 ADK’s trail crew with assistance from Moriah Shock Incarceration Facility inmates, DEC’s Ray Brook Trail Crew and Student Conservation Association Backcountry Stewards have installed over a mile of gravel turn-piking providing a durable surface for hikers to travel on. This design will help protect the natural resources surrounding the trail corridor. “ADK commends DEC for their proactive implementation of the newly adopted amendment to the High Peaks Wilderness Unit Management Plan. 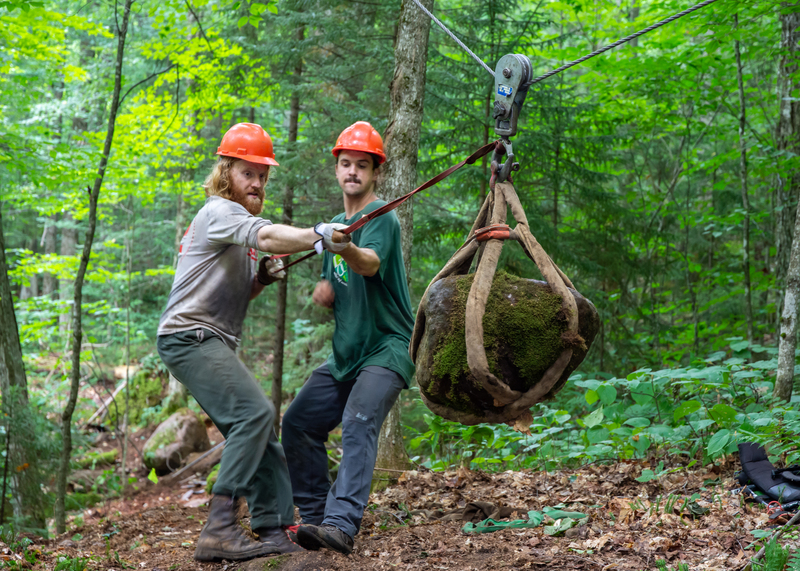 ADK is proud to provide our Professional Trail Crew to construct the new hiking trail. 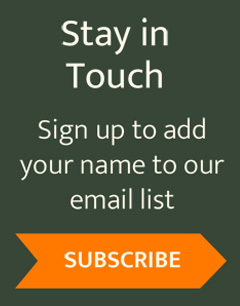 The new trail will provide a stable, properly designed route which will help protect the soils and vegetation of the mountain and improve the hiking experience,” said Neil F. Woodworth, Executive Director of ADK. The trail officially opens on October 5th, 2018. 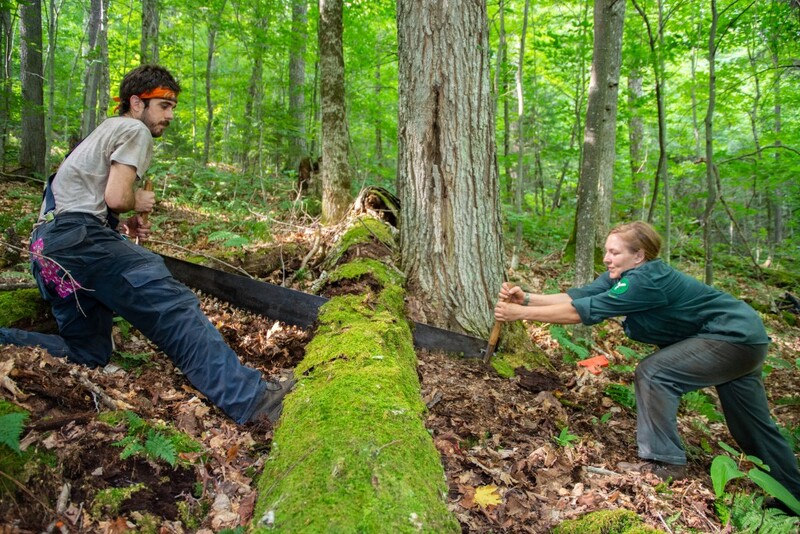 ADK’s Trail Crew will continue work on the trail through the end of October. In 2019, work will begin on the new trail up Cascade Mountain.